Rephrase the initial sentence using the prompts. 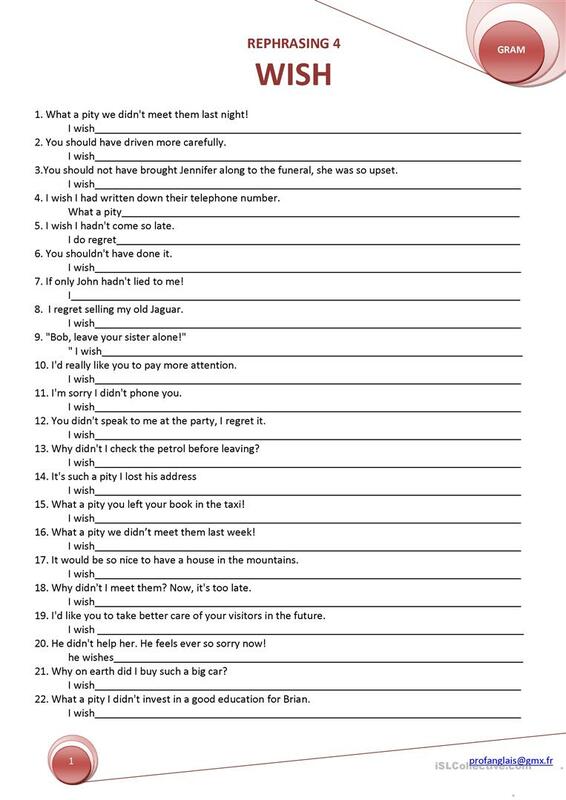 In this worksheet students have to rewrite phrases like "I should have", "Why didn't I", "What a pity", etc. using "I wish" and "if only" structures to express regret. The above downloadable printable is a great resource for high school students at Upper-intermediate (B2) and Advanced (C1) level. 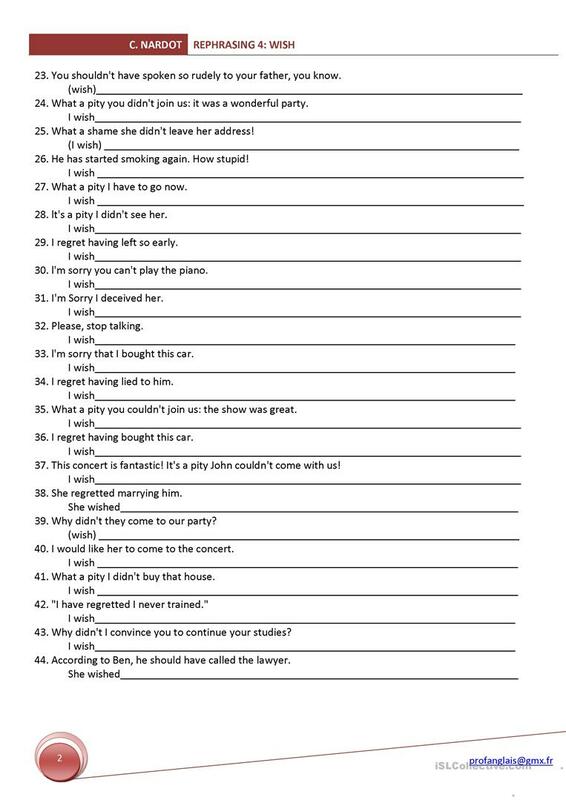 It is aimed at teaching Conditionals - I wish / If only in English.